Up until the beginning of last year I was unable to operate a computer.It must have been the most scariest thing for me to do.As I was growing up all that I could think of was getting high and did not have an interest in furthering my education.Learning how to use a computer was at the bottom of my to do list. 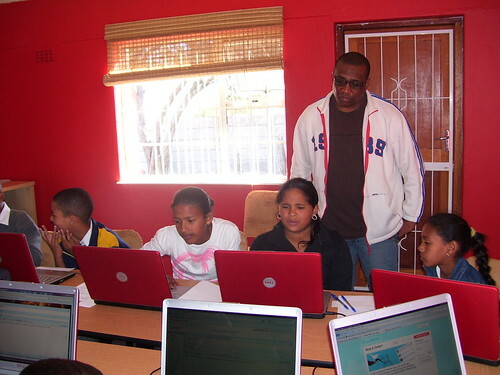 All of that changed when Marlon Parker,an IT lecturer at C.P.U.T stepped out of his comfort zone ,to teach ex drug addicts and ex gangsters how to use computers.Most of us that attended these classes has never used a computer before.He came with a different approach though.He used what he calls,”an undisciplined” way of teaching us how to operate and use these machines.He started off by teaching us some things about Social Media like ,how to set up a gmail account,how to create a blog etc.In that we learnt how to use word and to basically operate a computer (pc).It was the most awesome manner in which to learn how to use a pc.I want to thank Marlon Parker for stepping out of his comfort zone and teaching drug addicts and ex gangsters what he did. So now with what we have learnt we want to give back to the community we once disempwered.We now teach our moms from the area,the same moms we once robbed and terrorized , how to use Social Media.We have cafe sessions with them every second Friday and we teach them all about Social Media.They have their own blog called Mom 2.0 and are connecting with other moms all over the world.At one of the Mom 2.0 cafe sessions one of the moms brought her young daughter along as there was no babysitter to watch her.That is when Craig Ross got the vision to start the Social Media for Teens class. 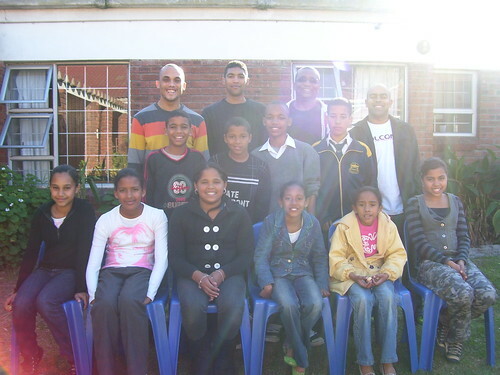 These are teens that are at risk of going into gangsterism and drugs.When i was growing up there were hardly any positive role models in my life.That is what we want to be to these kids;we want to be positive role models in their lives.At our first session we had lovely young people that attended.They were aged 10-16 years old.We had a very good session and set all of them up with gmail accounts.They are not just going to need these gmail accounts to send emails to loved ones but also to use it to register on the blog we are going to create for them.We are also hoping that they will take what they learn from us and empower other young people out there.I am so looking forward to see what the outcome of this project is going to be.Thank you Craig Ross for being obedient to the vision that God has given you.I am looking forward to our next session with the young people.I will be keeping you all updated as to what is happening in this project. Thank you Jesus that you are able to use us to reach out to these young people.The same young people that we could have so easily have introduced to drugs.Things could have been so different. Yes Brent if you want to walk on water,you have to get out of the boat.God bless. You are currently reading Social Media For Teens at A JOURNEY OF A THOUSAND MILES BEGINS WITH ONE STEP.